Silo sired two litters, it’s a total of 13 puppies and 11 of them have had their hips x-rayed and all have A or B! 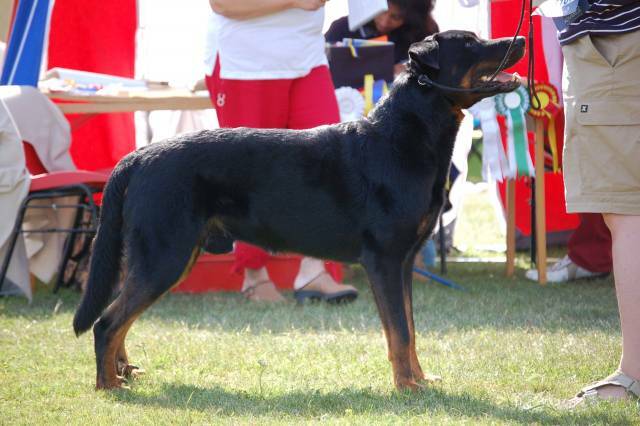 When Silo was 3.5 years old I x-rayed his back and once more his hips, since he was mating a German female and everything looked great! Silo passed away 26/3 2009, only 7 years old. He got a lipoma (fat tumor) inside – unusual but sometimes occuring. Unfortunately this one was in a bad place, close to the heart and lungs, down towards the stomach. He went in for surgery March 26 but they realised that they could not remove the lipoma since it was so badly placed. He will always be in my heart and I remember him with joy, he was the best, the most wonderful dog I’ve ever had! 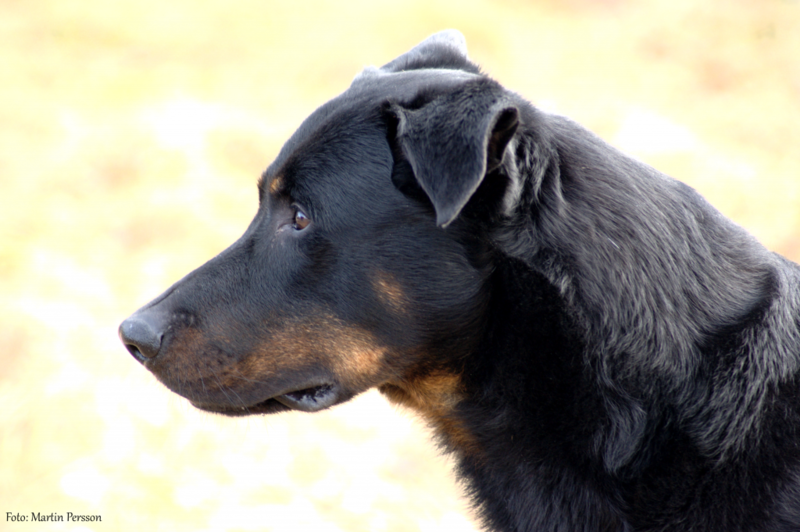 Silo was my first Beauceron and the second dog that I had since he was a puppy and he has a special place in my heart! He was a very confident, friendly and social dog who loved everybody. He loved to work and always wanted to join in. He was the one keeping the pack in check and making sure everybode got along. He got ”angry” when Axi ran too far in the forest and he ran after her and bumped into her and told her ”We do NOT do like that”. I could write miles about Silo…. Silo was an excellent tracking dog, very meticolous when tracking, always found every object and kept a nice pace! He loved the obedience training! I changed his heel two times and both times he caught on very fast. He could have had more ”fighting spirit” when tugging, but it worked out well enough anyway. He got more interested in objects/toys the older he got! I tried some herding with Silo and he loved it! He was very balanced, knew where I was and never chased the sheep. We also tried agility and he loved it! Even a large dog like him can be very agile! We also tried searching and he really appreciated finding people in the woods!